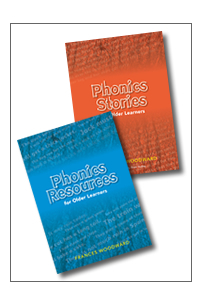 Graded phonic reading books for older learners. The stories are based around a Community Drop-In Centre. It is a non-profit making business, run for the community by Sam and Liz, supported by a group of volunteers. 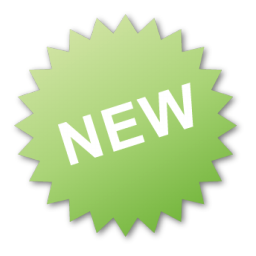 There are two spiral bound books containing ideas for extra activities plus four worksheets to accompany each book. 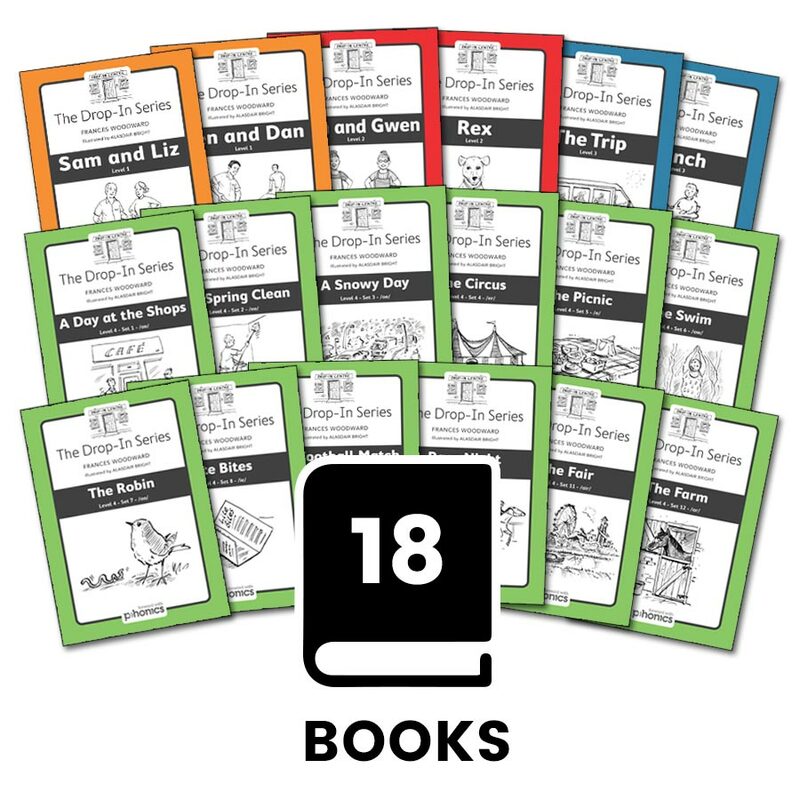 18 printed books – 2 x Level 1, 2 x Level 2, 2 x Level 3, 12 x Level 4 – one for each of the main vowel sounds. 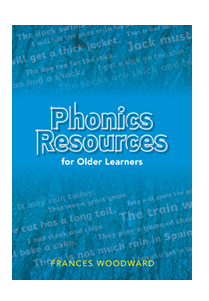 This book contains photocopiable resources suitable for older children, adults and ESOL learners. 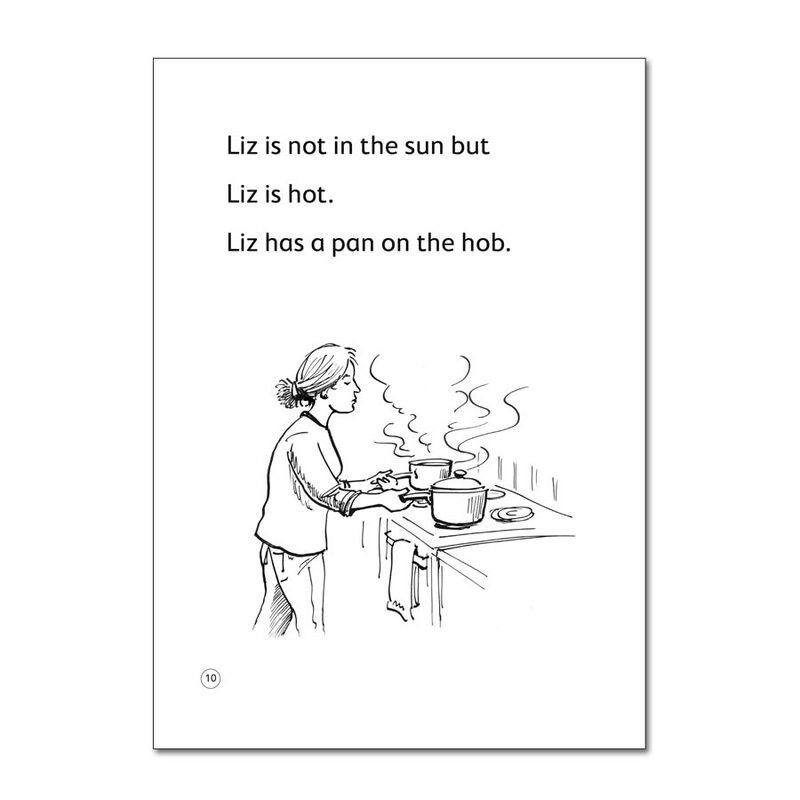 The worksheets follow the phonic progression presented in the Sounds-Write programme but would be useful to any teacher who is introducing phonics to their learners in a structured sequence. This book is now available to purchase as a download. 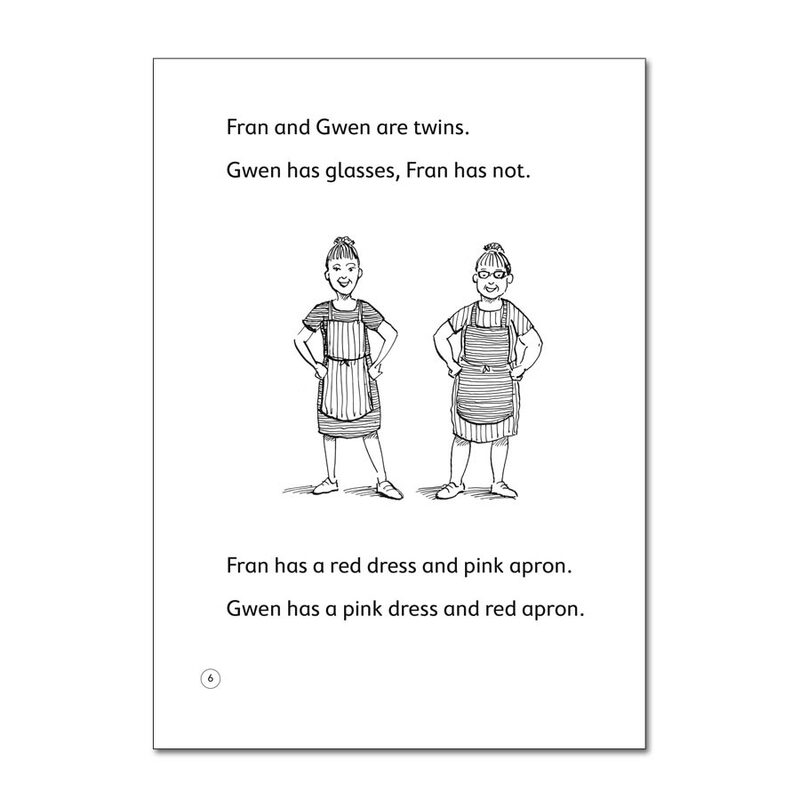 This is a book of decodable stories and accompanying worksheets suitable for older children, adults and ESOL learners. 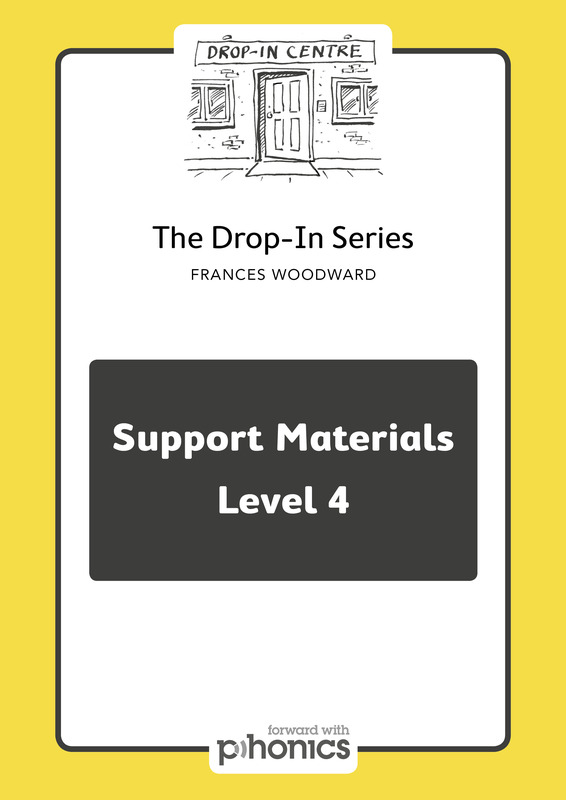 All the resources are photocopiable. 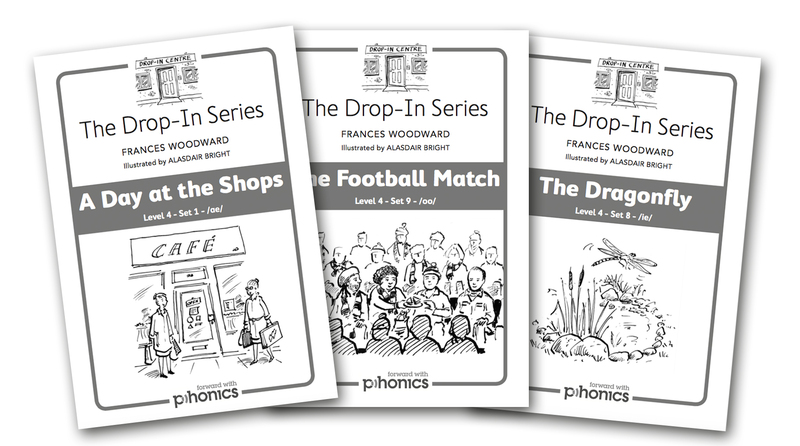 The stories follow the phonic progression presented in the Sounds-Write programme but would be useful to any teacher who is introducing phonics to their learners in a structured sequence. This offer is also available to purchase as a download. 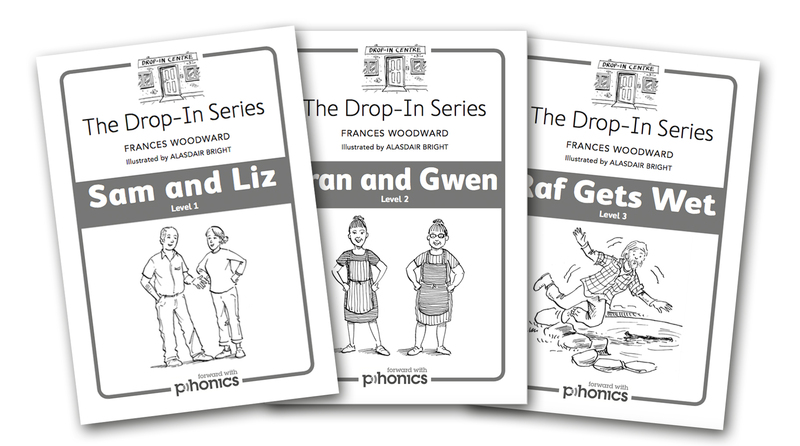 My name is Frances Woodward and I am the founder of Forward With Phonics. 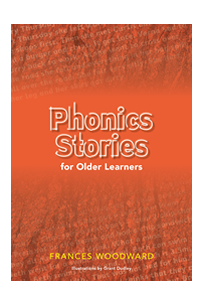 I have specialised in the teaching of reading, using synthetic phonics, for the past twelve years and have had successful outcomes with all ages of learner, from five to seventy-five!